The Airoh GP500 exudes Italian style and being completely handmade, the fit and finish is absolutely superb. It’s been nine years since I purchased a new helmet, so it was a job long overdue. I’ve been an Aria wearing snob most of my riding life, and although I have tried other brands, I’ve always returned to the Arai helmets due to a few factors. Those being fit/comfort, finish and safety for the most part. Other helmets I’ve owned have been OK. 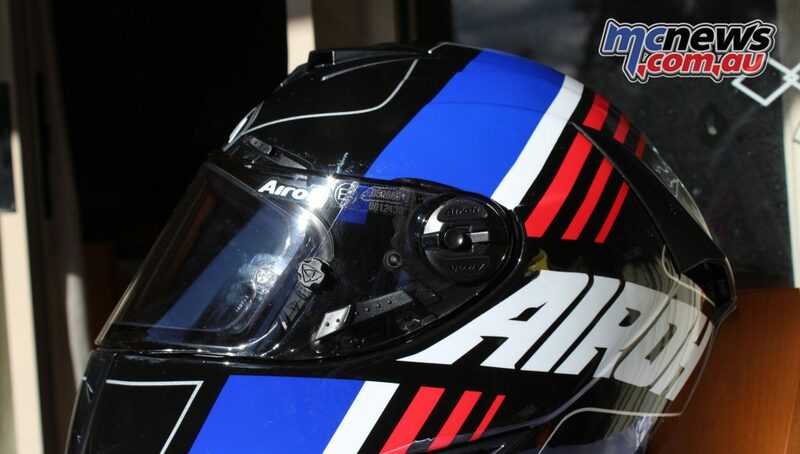 But I’ve always found that long distances on the bike have continually reinforced my love for the Arai product. Where other helmets have produced pressure points on my head, they have also been drafty or overly noisy. Arai has always been all day comfortable, relatively quiet, and most of all – while racing have saved me from a trip in the ambulance when my head has contacted the ground. So it was with great reluctance that I decided to try something new when this purchase decision arose. My buying criteria was still similiar to previous times, except that these days I spend little, to no time on the race track. The majority of my riding hours are now spent on the road. That’s not to say that the racetrack wasn’t a criteria, and knowing my tendency to ride like a fruit loop, safety was still a major factor. This time around, I made a conscious decision to have good look at every brand and model that I could manage to get my head into. However, I’d always figured that in the end I would buy another Arai. 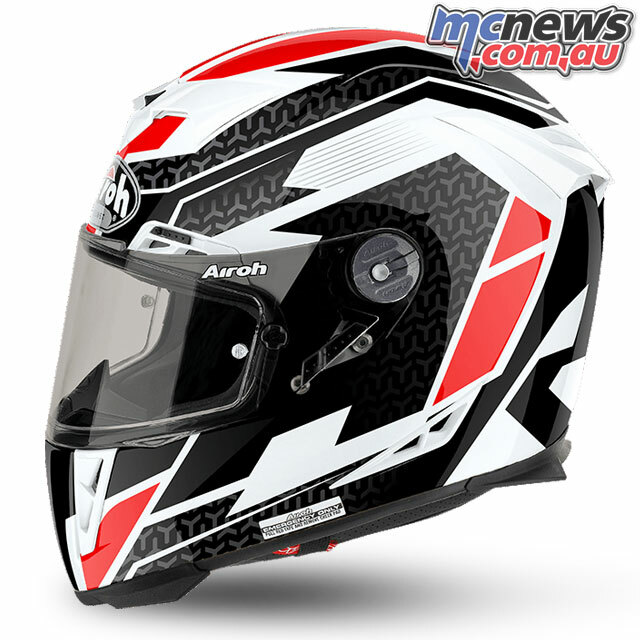 Then, while at the World Super Bikes at Phillip Island in February, I had the chance to try on the range of Airoh helmets. 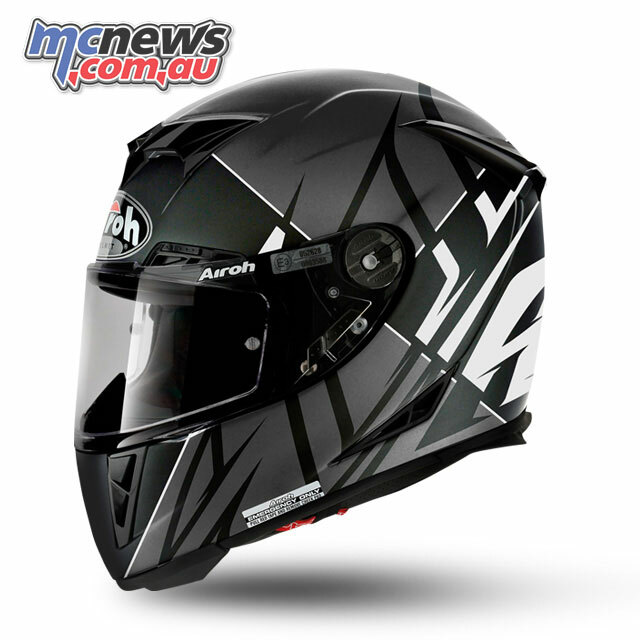 Airoh are only a recent addition to the Australian motorcycle helmet market, so at first I was of course sceptical as to what this new to the landscape brand was all about. Some research soon turned up information showing that Airoh was no fly-by-nighter, nor was it a brand which sacrificed the quality of its product in order to slot into a segment of the market. 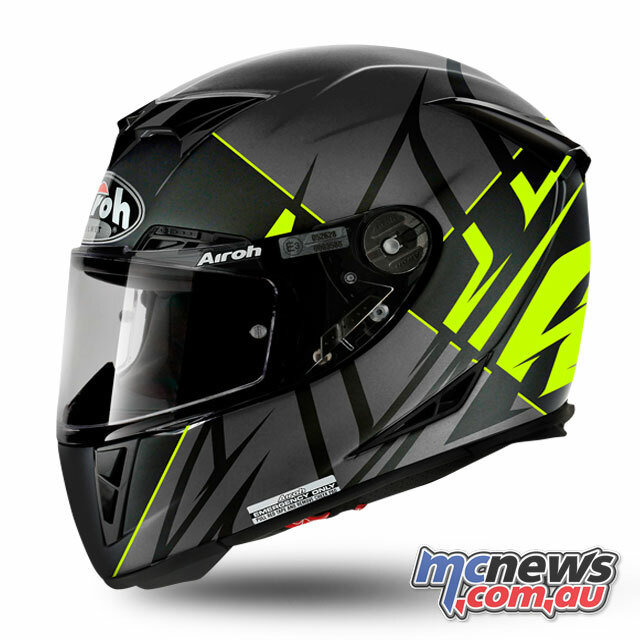 Airoh kicked off in 1986 as a contractor for many established brands under the name Locitelli S.p.A and then commenced its own line, Airoh Helmets, in 1997. Just have a look around the grids of the Moto3 and Moto2 fields, they are awash with Airoh helmets and with 71 world titles to their name, they have been not only at it for a while, but also with some successful riders wearing them. 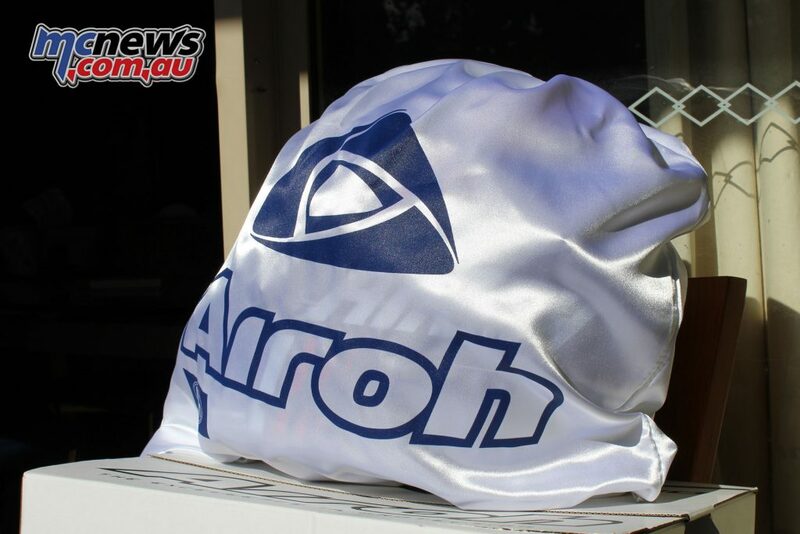 Sure, I guess some are sponsored riders, however, there are also those who choose to wear the Airoh brand without the lure of sponsorship dollars, and after getting my hands on one, I can see why. 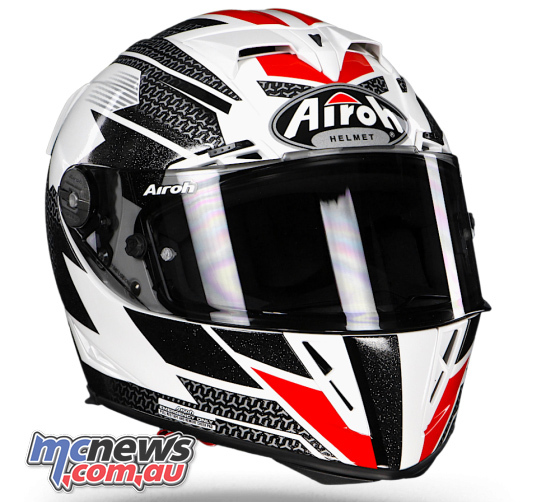 After trying on a few Airoh helmets, a GP500 was the new lid of choice. The GP500, while a fully road legal helmet, is predominantly made as a race track lid. It weighs only 1200 grams which makes it one of the lightest helmets currently available. It is also a completely hand-made helmet. The outer shells are made from composite fibres (such as aramid fibres and 100 per cent Carbon Kevlar) in a meticulous process. Industrialisation makes room for craftsmanship that involves layering everything manually, thus ensuring an exceptional relationship between weight and durability. The inner shell in polystyrene is created by a steam moulding process at high temperatures, and the face shields are moulded and then treated with strictly non-scratch processes. The outer shell is coated and treated with a UV filter to maintain the highest quality and aesthetic standards. But this also protects from the environment, offering sealing, strength and colour sheen, which are guaranteed over time thanks to the numerous stress tests carried out. 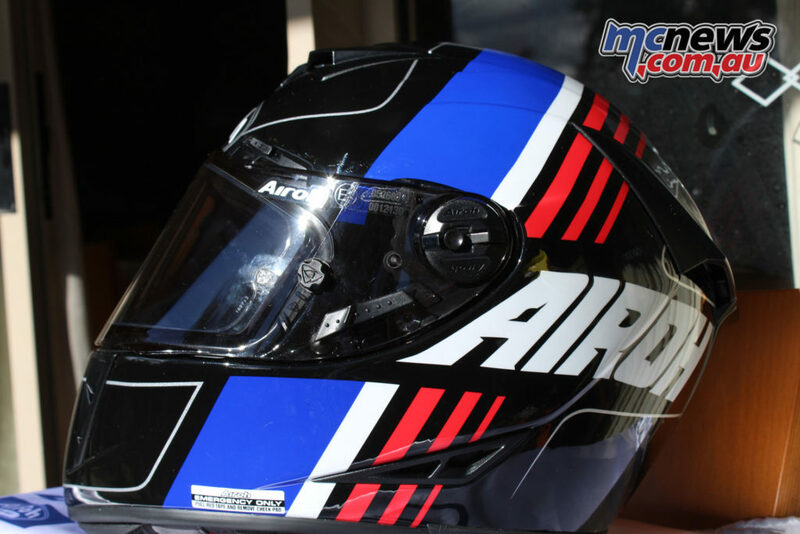 The outer shells with graphics are created via the entirely manual application of decals, through a meticulous and careful process, which gives every Airoh helmet the unmistakable design that sets it apart. The interiors are made of the latest materials and are tested in the most extreme environments, ensuring maximum breathability and comfort. The stitching is also done by hand which ensures a great comfort-fit and demonstrates the attention to detail that Airoh always gives to each of its helmets. Taking the helmet out of the box shows how this attention to detail delivers a very high quality of finish, even the helmet bag is a quality item, with a classy finish and a draw string which attaches to form a carry strap. There were no blemishes on the paintwork, decals, vents, trimming or lining. It was absolutely faultless. Something that not even my previously much loved Arai helmets have managed to deliver, with there normally being a small paint blemish or glitch somewhere on the helmet shell or fixtures. Not so for the Airoh. The GP500 is fitted with the usual array of venting found in most modern race oriented helmets. 10 vents with six being adjustable ensure the best possible air flow suited to the varying conditions which riding in Australia can throw at a rider. The usual chin vents are there, with the adjusting mechanism being located inside the chin piece. At first glance, I thought this may provide some difficulty in opening and closing the vent while wearing the helmet. However, in practice the internal adjustment makes it even easier to locate and alter the venting while on the move, utilising your gloved thumb instead of your fingers. Then it has two brow vents above the eyes which can be opened and closed separately by simply sliding. The last adjustment for the top and rear vents is made via one single switch in the centre of the front part of the shell which is also simple to operate with a gloved finger. 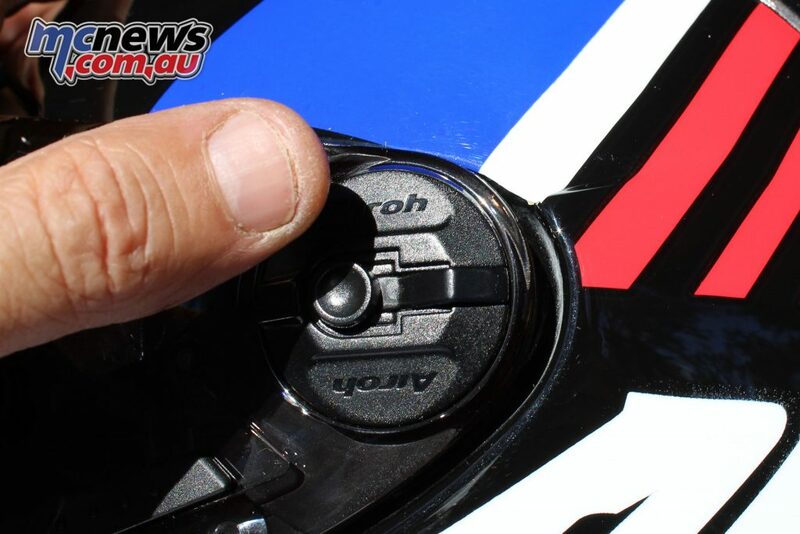 The visor, as with most new lids, can be fitted and removed without tools by simply pushing the release button and rotating the locking mechanism. It’s one of the simplest and most fuss free visors I’ve tried. The visor itself is made of very high quality Lexcan of varying thickness, with thicker outside edges, and thinner in the vision area to aid in clarity. It also comes with the FS Pinlock anti fog insert as standard and the visor is lightly tinted, enough that you won’t require a spare tinted visor for those sunnier days, yet the tint is not dark enough to inhibit vision at night. In addition to that, the visor can be locked closed via a slide mechanism on the left side to ensure it stays shut even at the highest of speeds, or if the head is turned, as in when doing a head check to change lanes on the road. The visor has a stepped ratchet mechanism which allows for the visor to be left open when riding, from just slightly open to fully up. 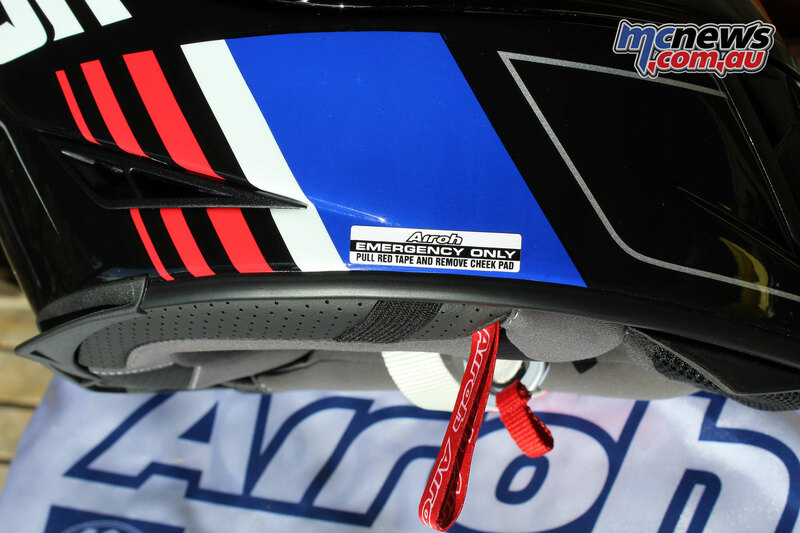 If you are intending on using it as a race helmet, it comes fitted with tear off posts as well. The GP500 also comes with both a nose guard to reduce fogging from breathing and a chin curtain spoiler to stop the wind from blowing up from the chin-piece during the colder months. Both are very simple to unclip and remove. Internally the liner is super plush, creating a very silky soft feel against the face. It’s of course made from an anti-bacterial material to minimise sweaty smells. It can be removed very easily and be washed. The cheek pads are fitted with the Airoh Emergency Fast Remove (AEFR) system, which enables emergency personel to quickly detach the cheek pads to enable easier removal of the helmet in case of accident, limiting the potential to exacerbate a neck injury while removing the helmet. The skirt of the GP500 is fitted with a lower spoiler system which improves air flow and reduces buffetting, as well as protecting the roll neck and liner from dirt and damage when it is resting on a surface other than your head. For a new helmet, it was relatively easy to put on and remove. But you need to take a little care spreading the helmet liner with the straps to avoid rubbing your ears. 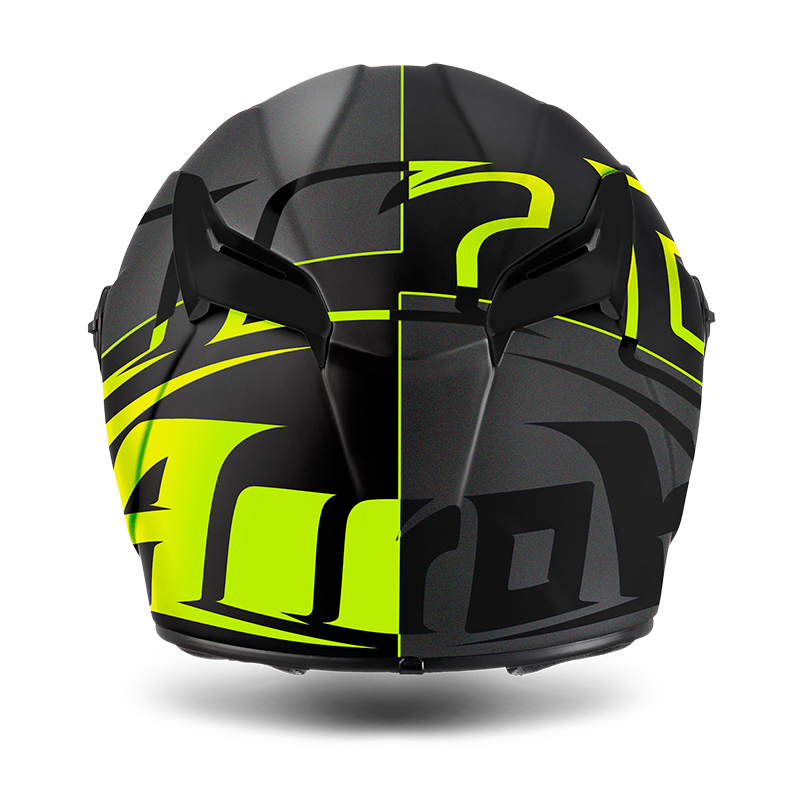 The trade off is great wind sealing, making this helmet fairly quiet for a full race item with a myriad of vents. The soft silky liner does help limit the discomfort and it’s no worse to get on and off than any other helmet I have worn. On the road, it soon becomes apparent that all that time in wind tunnels and the feedback from racers has paid off. I tested the helmet for the first time riding my own bike, which is unfaired. It’s usually a good test of noise levels and I found the helmet to be much quieter than any of my previous helmets. I’d rate it very close to my BMW Sport Integral, which was one of the quietest helmets I’ve worn. This surprised me, as I had been warned that being a full race helmet, it might be noisier than a normal road oriented lid. In the buffeting department, there was very little. Way less than my previous Arai. I was impressed with these two areas to say the least. The GP500 is definitely one of the most comfortable helmets I have worn. On it’s first all day ride, I had expected there to be a pressure point or two pop up towards the end of the day. However, it was all day comfortable. This is one area which I have had a lot of issues with in the past, hence why I had been an Arai snob for so long. 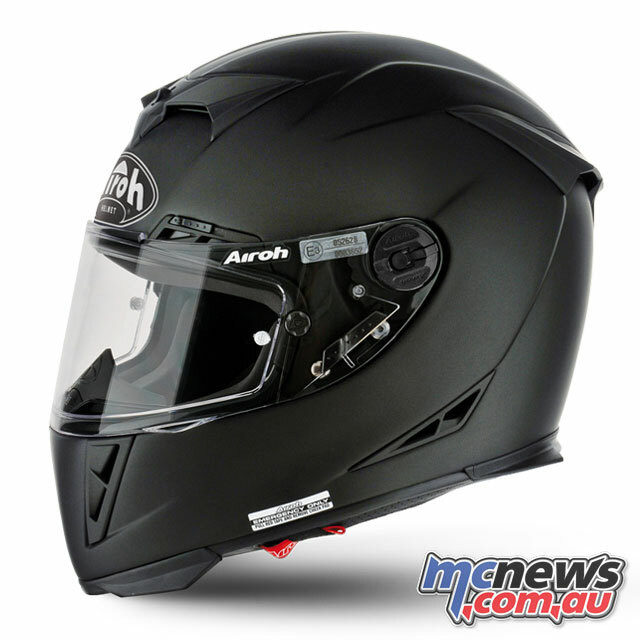 The Arai helmets were one helmet which never became uncomfortable for me on a long ride, and I can already see that the Airoh GP500 is going to provide me with the same all day comfort I have become used to. As someone who is optically challenged, another bonus was the helmet was great to wear with glasses. The ear pockets in the liner kept the pressure off the arms and they never pressed into the side of my head as they can do in some helmets. If you are in the market for a new lid, I’d encourage you to go try on a new Airoh. 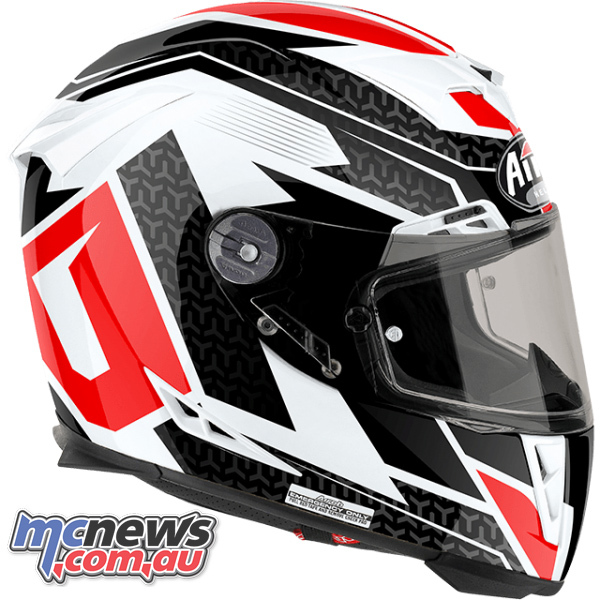 They are a high end helmet and sit at the very top of the quality, comfort and safety scale but at a price which is well below many of the other premium brands.